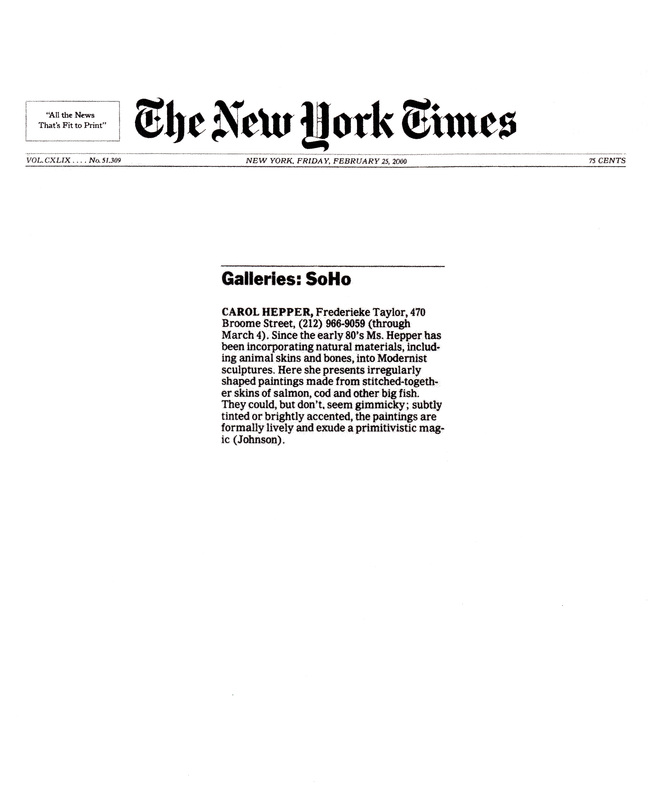 Carol Hepper: The Skin of Things is accompanied by a catalogue comprises a critical essay on Hepper’s work by art historian Oliver Shultz, Curatorial Assistant at MoMA PS1, and an interview between the artist and Patterson Sims, independent curator. 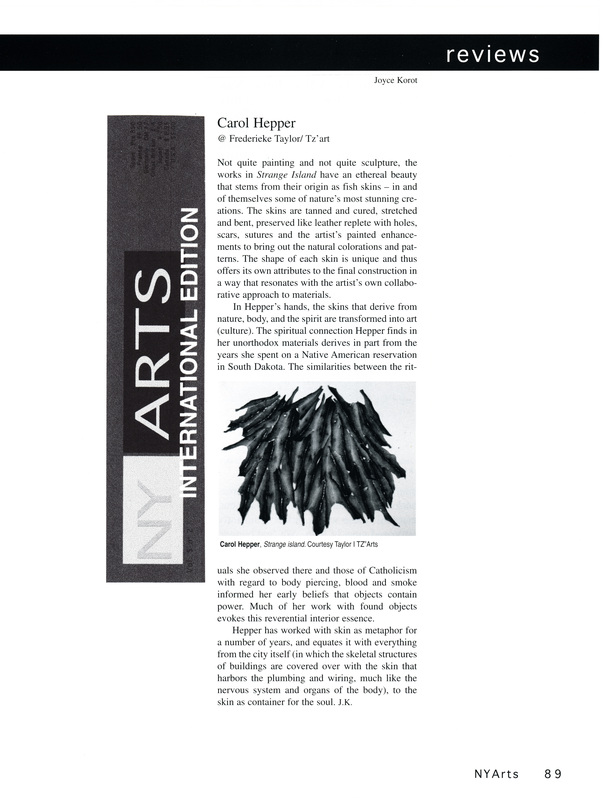 The 56-page publication is produced by the Catskill Art Society and available at the CAS Arts Center, Livingston Manor. 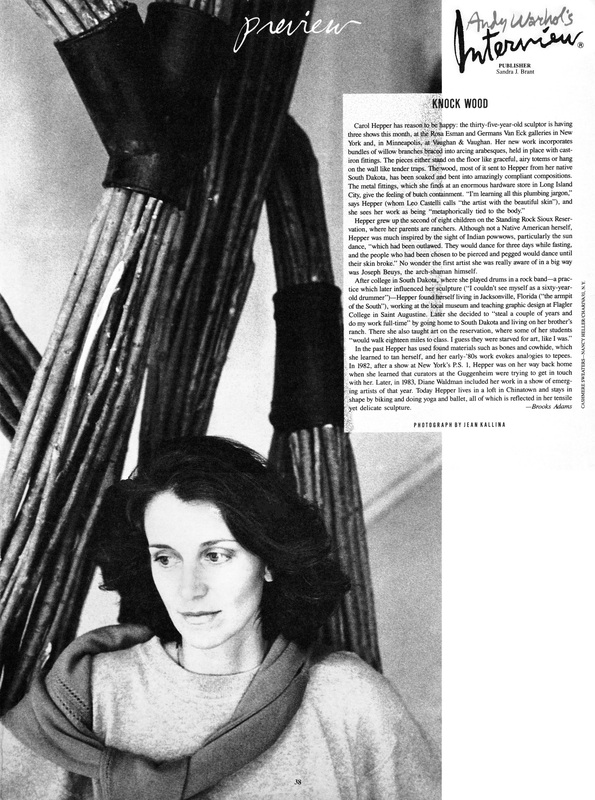 The publication, Carol Hepper: The Skin of Things includes an interview with the artist conducted by Sims, and essay from Shultz. Billings, Montana. Yellowstone Art Museum. Paperback. An exhibition honoring Hepper’s achievement close to its point of origin. The essays that follow, by Dr. Leda Cempellin and Eleanor Heartney, shedlight on Hepper’s complex goals and her means of reaching them. The Yellowstone Art Museum is honored to partner with sister institutions in the Dakotas to acquaint our audiences with Hepper’s thoughtful and highly personal sculptural work. New York: Galeria Ramis Barquet, 2008. Softcover. Bright green & illus. wraps, French flaps, 54 pp. many color illus. 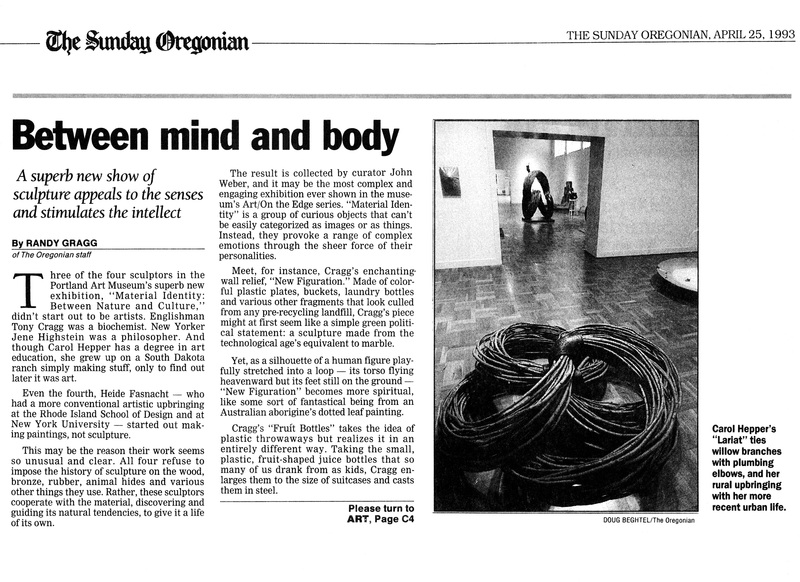 In conjunction with the a 2008 exhibition of creative pieces by American artist Carol Hepper. Begins with a poem "As in over" by Michael Coffey, then showcases Hepper's work. Easton, Penna: Williams Center for the Arts, Lafayette College, 2000. Softcover. VG. BW illus. stapled wraps, 21 pp., 23 BW & color illus. 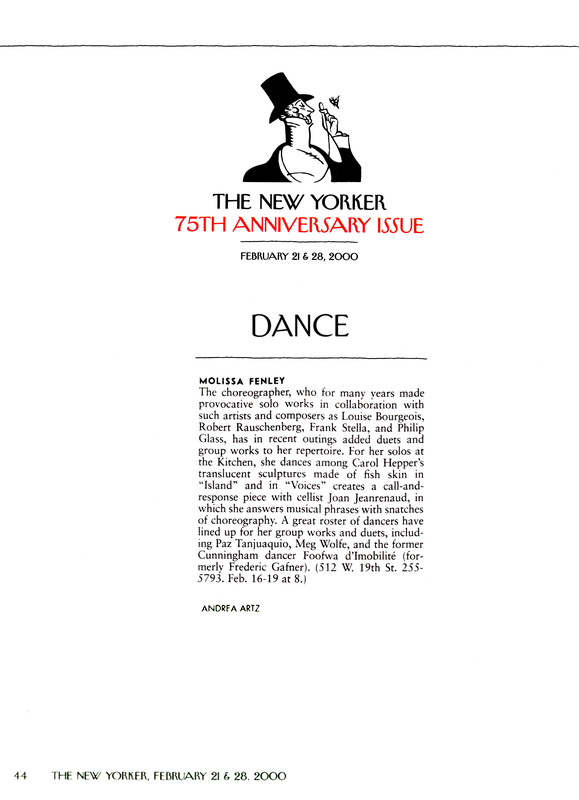 Issued in conjunction with a 2000 exhibition featuring the works of American sculptor Carol Hepper (b. 1953). With an essay by Stuart Horodner and many examples of Hepper's creativity. She served as the Detwiller Visiting Artist at the time. Dartmouth College, 2000. Softcover. 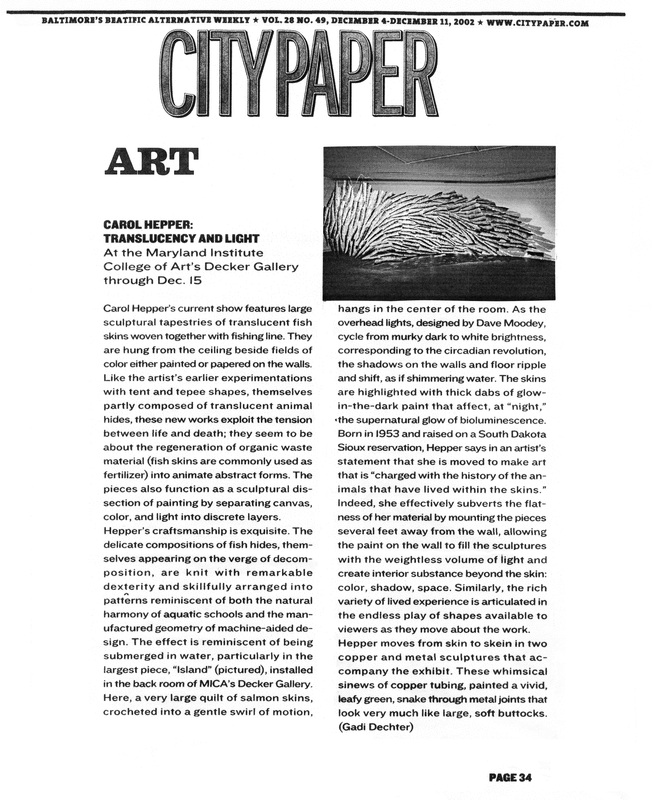 Essay by Nancy Princenthal 'A Local Abstraction: Recent Work by Carol Hepper'. 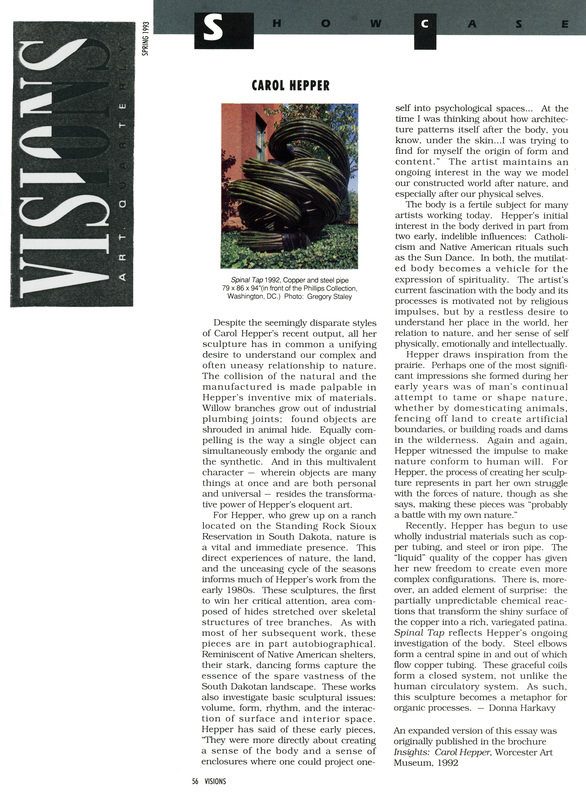 "In a public dialogue on the occasion of her collaboration with Carol hepper, the dancer Molissa Fenley described using Hepper's sculpture Island as a "spatial incentive" for movements that were aqueous, tropical," that evoked "billowing breezes" and the graceful underwater life..."
Portland Institute for Contemporary Art; First Edition edition (1999). Softcover staple bound exhibition catalog with dustjacket, 32 pages, with color reproductions. 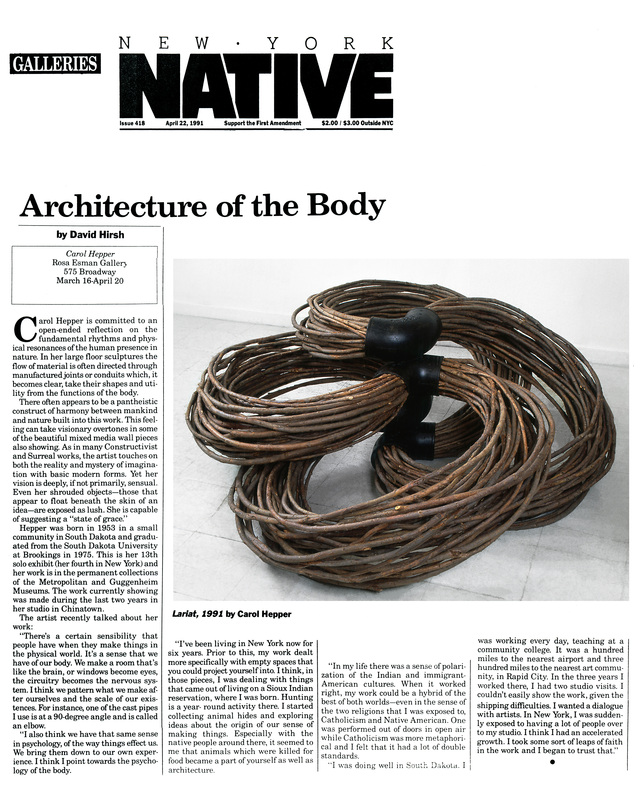 Despite the seemingly disparate styles of Carol Hepper's recent output, all her sculpture has in common a unifying desire to understand our complex and often uneasy relationship to nature. The collision of the natural and the manufactured is made palpable in Hepper's inventive mix of materials. Rosa Esman Gallery. 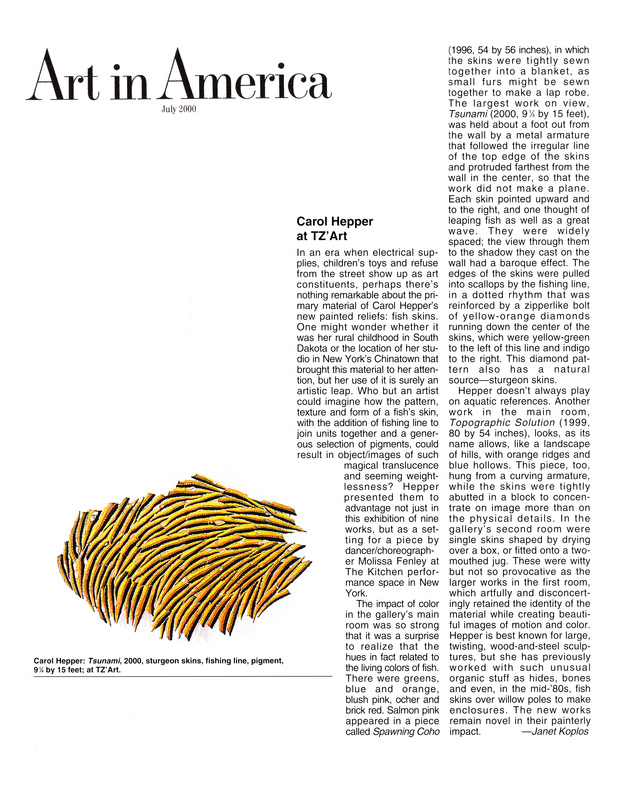 Carol Hepper [cover title]. NY, 1991. Text by John Howell ("Spirit in Place"). Exhibition catalogue of chiefly large mixed-media sculptures (steel, rope, hide, industrial materials). 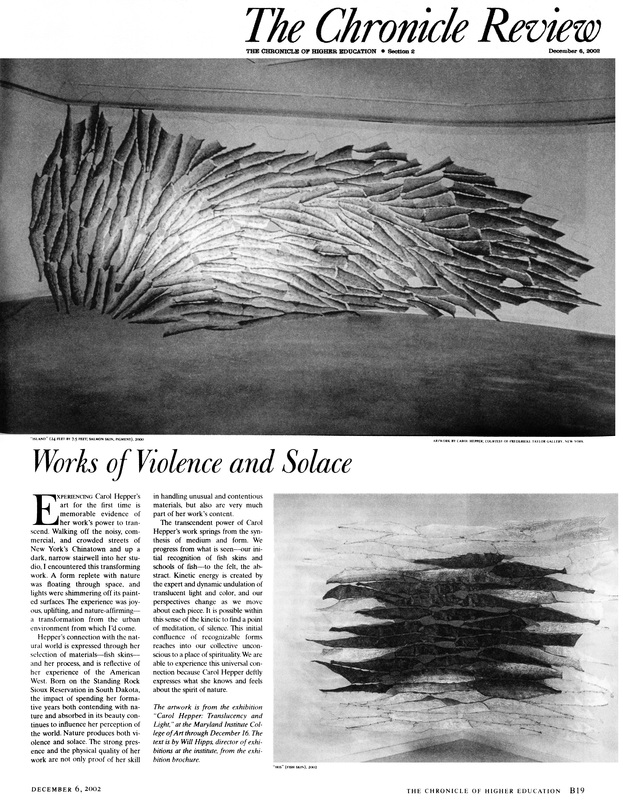 In Howell's words, their "Constructivist process principles are punctuated by a visceral kind of High Plains visual language (Hepper grew up in South Dakota)."